You might not immediately consider that the American War in Laos and the Hmong refugee experience form natural subjects for poems. 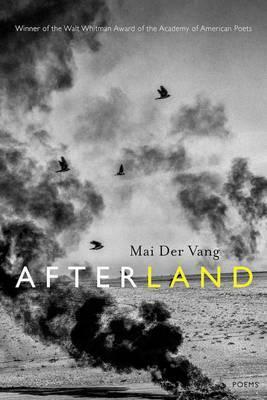 But Afterland by Mai Der Vang is an extraordinary collection of powerful poems that excavate the humanity of those swept up in the war and the subsequent exodus of some 300,000 Hmong refugees to the United States. The Hmong fought on the side of the United States during the war years there. When the Americans lost, their community was left extremely vulnerable to the new Communist regime, forcing many to seek asylum in America. These poems are the tales of life during the war and of new lives etched out in a foreign country. The subjects they traverse are at once universal–war, death, exile, love-and specific to the Hmong experience in Laos and the United States, afterwards. Don’t take our word for it: These poems have been widely hailed, and were the 2016 winner of the Walt Whitman Award of the Academy of American Poets. Sometimes immediately decipherable, other times lyrical to the point of leaving the reader not quite certain of the meaning, at least initially, these are poems to sit with a while, and to return to dip into again. My parents fled for this”. We suspected “Grand Mal” may have been about Lia Lee, who is the subject of The Spirit Catches You and You Fall Down, and indeed in the endnotes the author confirms it was for her. Once, I lived in the valley. Then I moved to the tent of ghosts. Next came partitions of ice. These are poems to work your way through slowly. 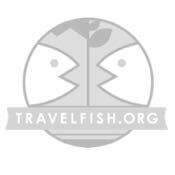 They are, in fact, perfect for travel: Read one or two on a long bus journey through Laos and let your imagination roam into the lives of those most devastated by the war here, those killed, injured, or forced to leave their homeland in the aftermath. If you are not a usual poetry reader (we confess we are not) but are heading to Laos, we cannot recommend sinking into this collection strongly enough. Not only will you be discovering a new country underfoot, but you’ll be discovering a new voice in a new-for-you genre; and isn’t literary travel just as important as travel in the real world?